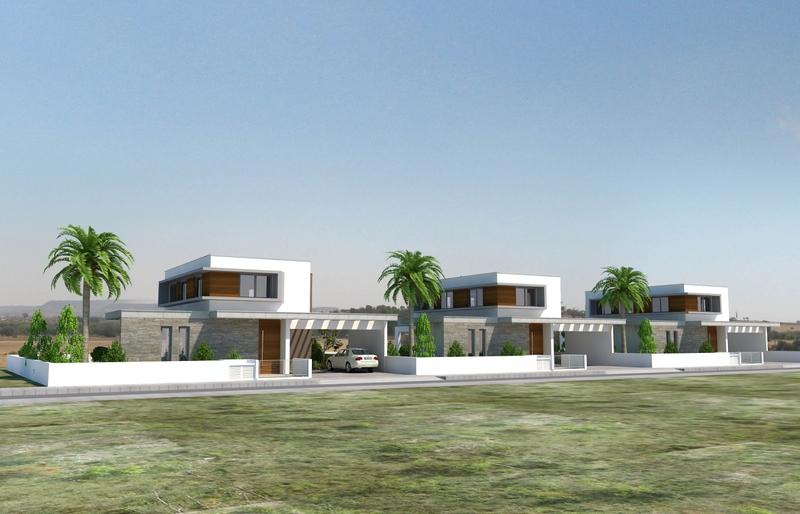 Blue Diamond Villas comprise of three spacious contemporary 3 bedroom villas part of the PYLA STAR VILLAS. 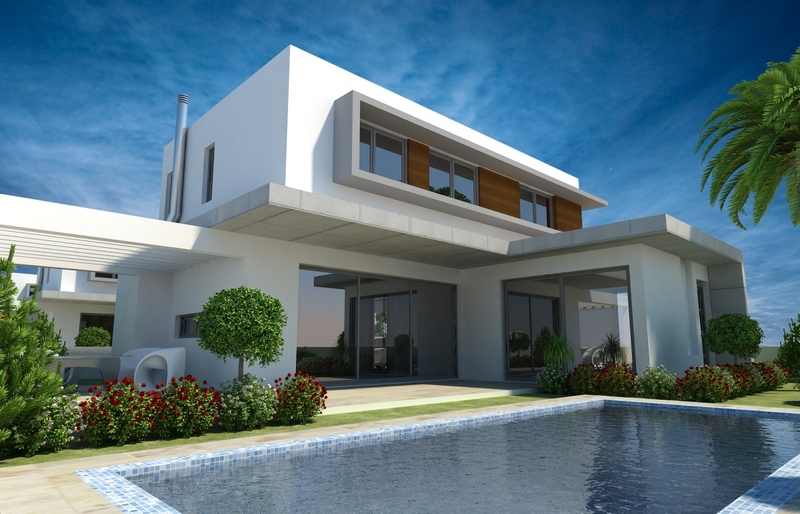 PYLA STAR VILLAS are located in the heart of the Larnaca Tourist area in Pyla and boasts one of the most distinguished luxury developments in the area, yielding a panoramic view of the unspoiled natural surroundings of luscious green and beautiful natural landscape. 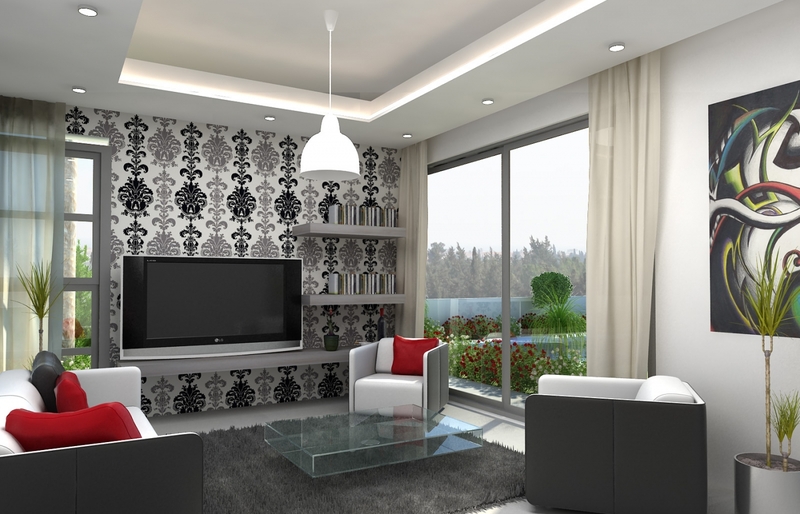 PYLA STAR Villas is a budding portrait of visual radiance. 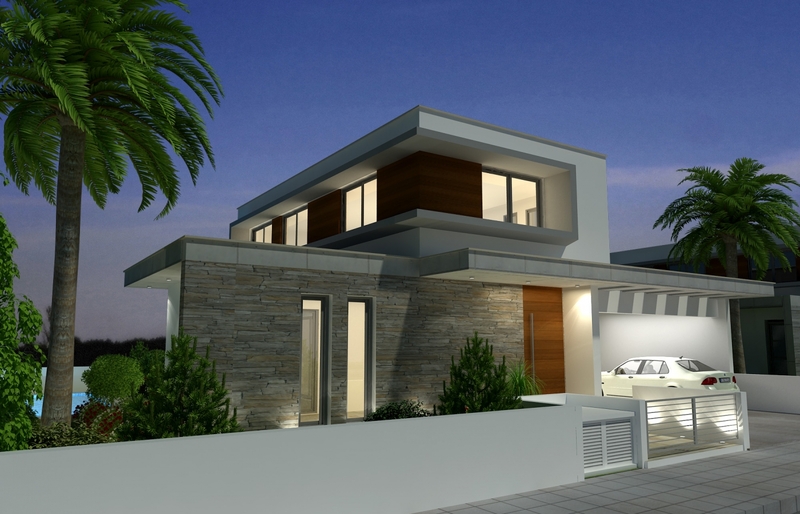 Its enviable location is in close vicinity to the crystal blue waters of the Larnaca sandy beaches, all the 4 and 5 star hotels of the city, and 15 minutes drive from the Larnaca International airport. 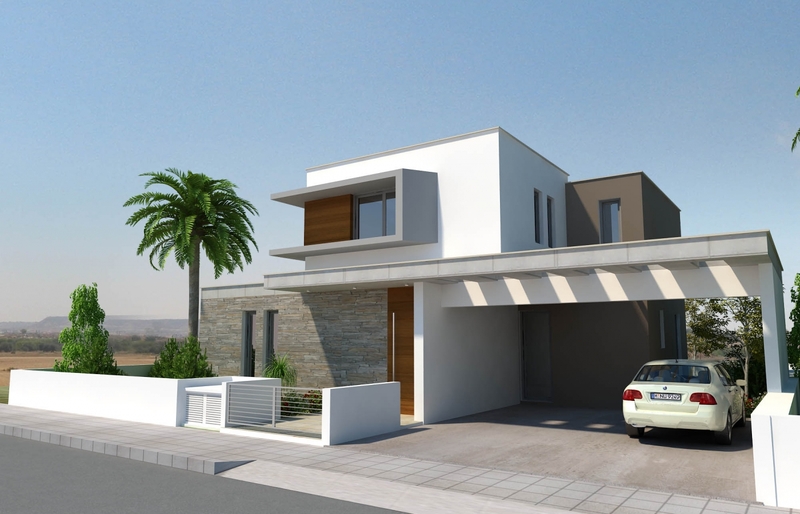 Pyla star Villas is a neighborhood made up of 38 luxury Villas of two, three and four bedroom villas, all with generous space suitable for practical living and a comfortable lifestyle. Most of the villas enjoy a large garden area as well as land for an optional private pool. In combination with the hospitality of local Cypriot people, the tranquility of the area, the traditional tavernas and the country feel you now have the opportunity to enjoy a unique lifestyle. STRUCTURE: Of reinforced concrete according to the relevant Cyprus Standards and the earthquake code. BRICKWORK: Hollow clay bricks, 250mm wide externally and 100mm wide internally, according to Cyprus Standards. Plastered internally and rendered externally all in 3 coats, plus 3 coats painting. FLOORS: All living, kitchen and bedroom areas will be finished with tiles of supply price €20 per m2. Bathrooms will be tiled (floor and walls up to 2 meters high) with tiles of supply price €15 per m2. All verandas will be laid with anti slip tiles of supply price €15 per m2. All floors are finished with skirting of similar type. 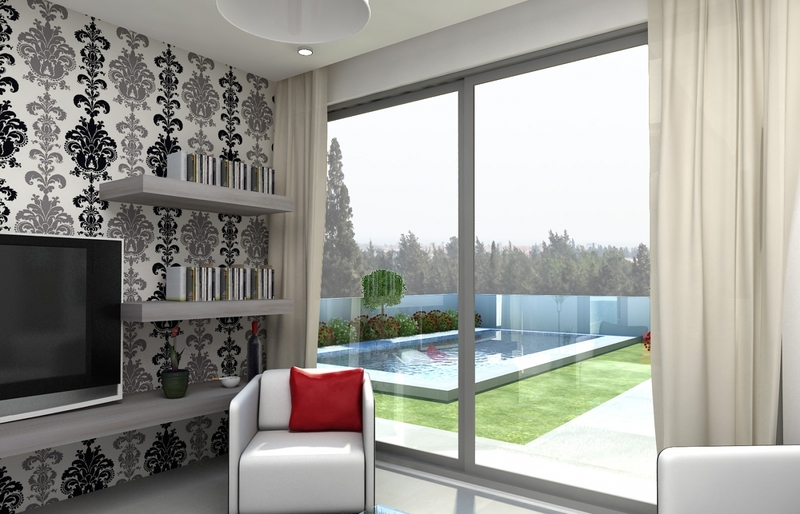 a) All external doors and windows will be of double-glazed aluminum sections and they will include opening or sliding sections (as per drawings). b) All doors will be timber melamine finish (oak or equivalent). c) Villa entrance doors will be made from aluminium profile or wood. WARDROBES & KITCHEN UNITS: Timber with melamine finishes to all areas as shown on drawings including with kitchen worktop GRANITE surface of €100/m. Kitchen Lower cupboards to be €175/m including VAT and upper cupboards €145/m including VAT. Bedroom wardrobes €155/m including VAT. SANITARY FITTINGS: All of 1st quality according to EU Standards of total supply cost €600 per bathroom/shower and €350 per kitchen (sanitary accessories are included). WATER SUPPLY: Hot and cold water supply and installation according to EU Standards and solar panels (if shown on drawings) with PVC water tank. ELECTRICAL INSTALLATION: All according to 16th Edition of IEE Regulations for Electrical installations and other regulations as required by the Cyprus Electricity Authority. Power supply points and switches are as shown on electrical drawings. AIR-CONDITIONING & HEATING: Full installation of piping (provisions) for air conditioning units and storage heating. (a) Dump Insulation: All concrete surfaces exposed to earth plus all balconies and roofs will be insulated against dump. (b) Thermal Insulation: Thermal insulation according to latest Cyprus regulations. PRIVATE POOLS: Private pools as shown on plans are provisional and can be included for an extra cost. EXTERNAL AREAS: All external areas will be finished according to the plans. 1. The private swimming pool is optional and is not included in the prices. 2. Clients are entitled of carrying out any internal alterations with the approval of the Architect and subject to project progress.